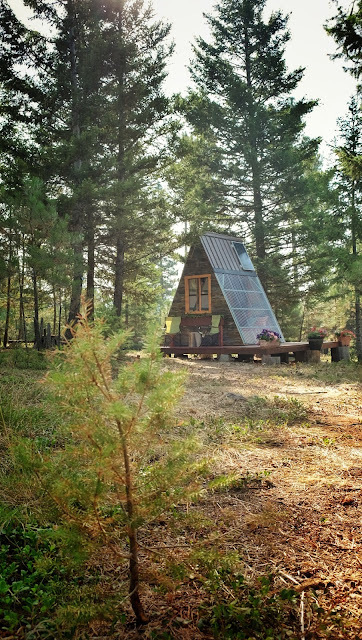 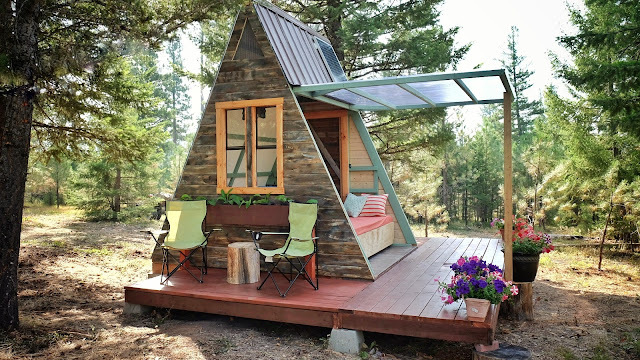 TINY HOUSE TOWN: A-Frame Cabin That Cost Just $700 To Build! 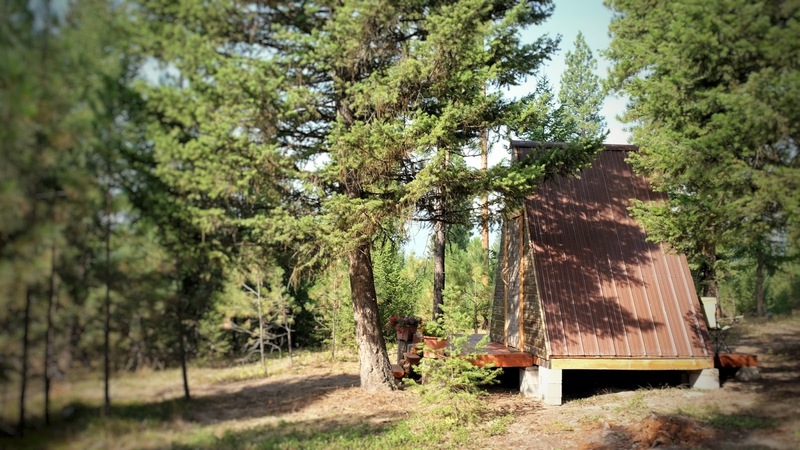 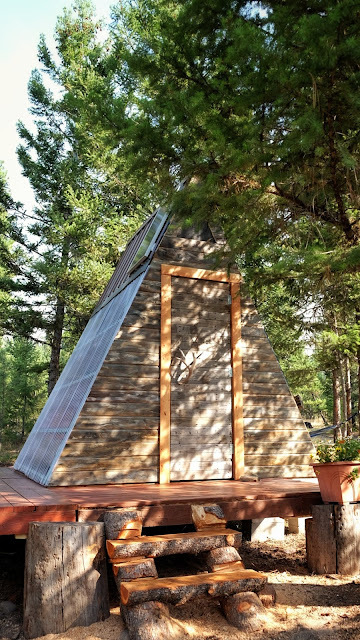 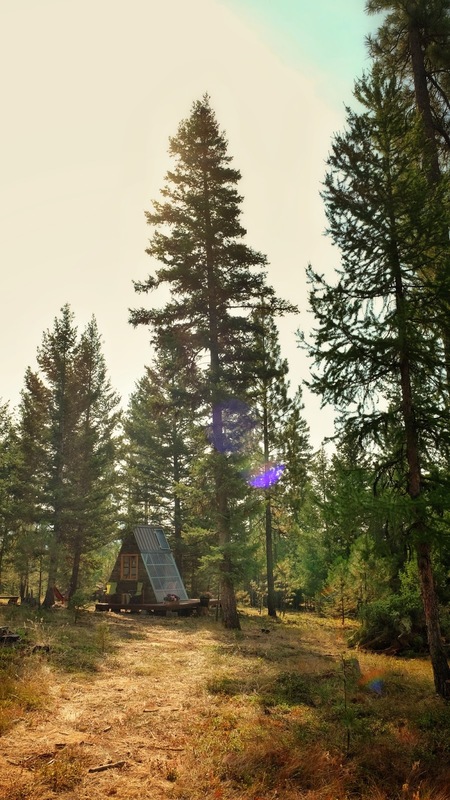 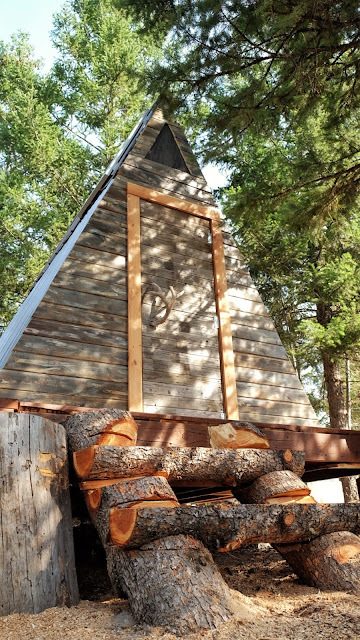 A-Frame Cabin That Cost Just $700 To Build! 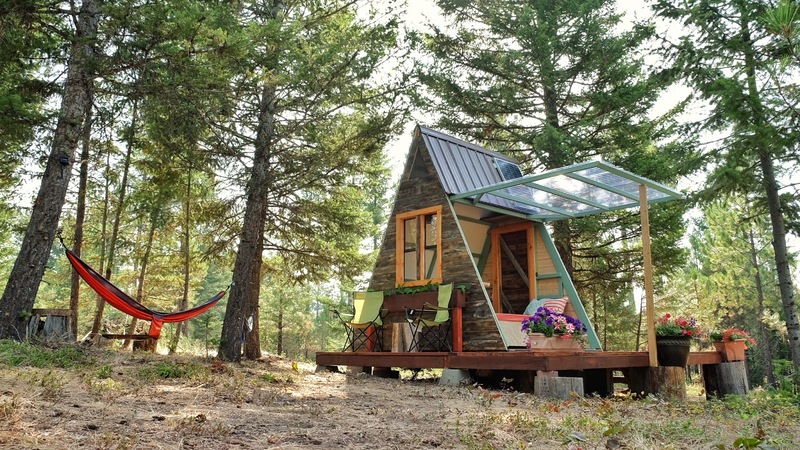 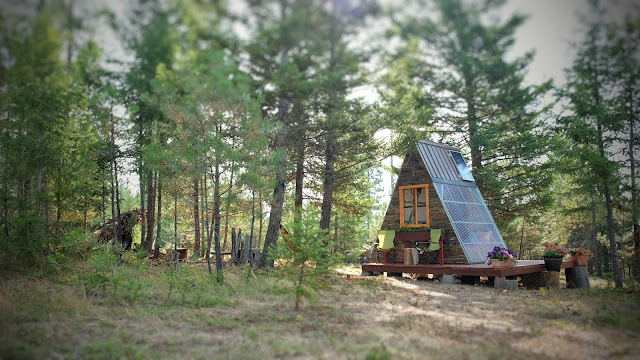 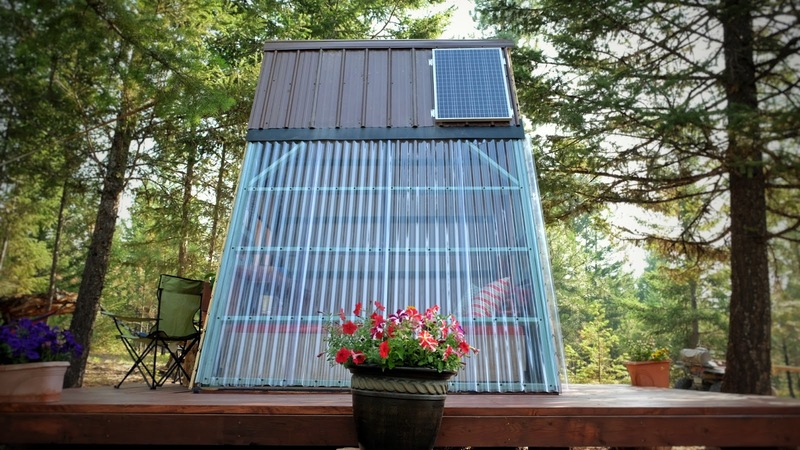 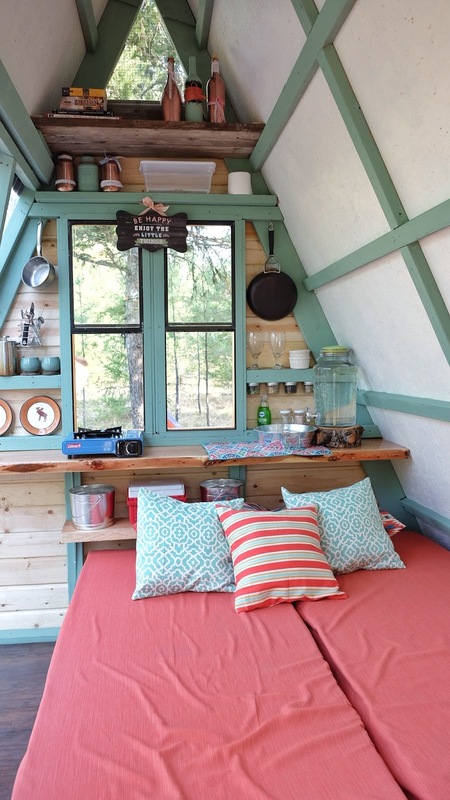 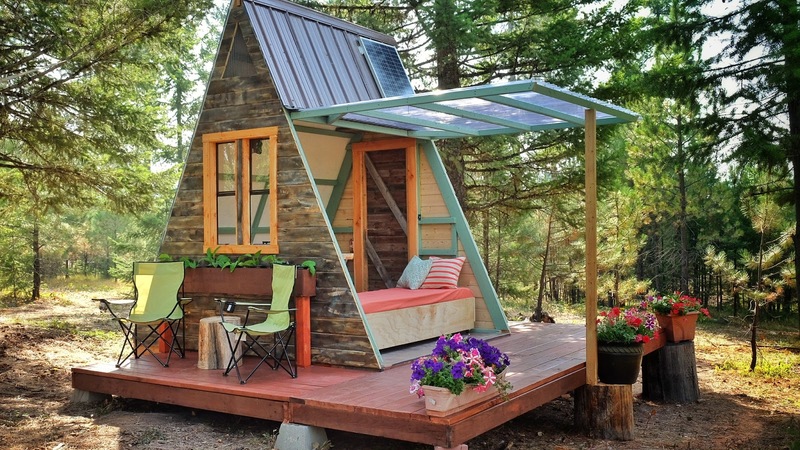 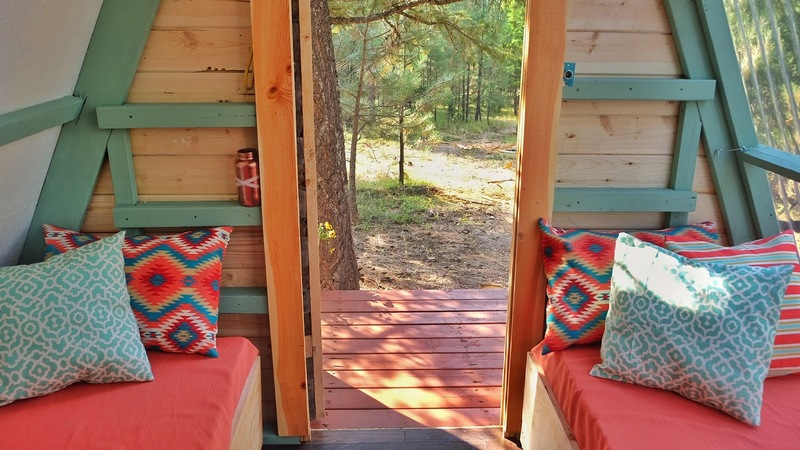 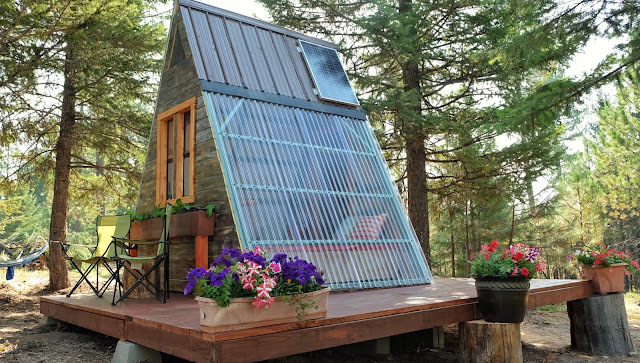 An A-frame cabin that's as tiny as it is inexpensive! Photographer Alla Ponomareva and her husband built this 80 sq ft guesthouse using plans from Relax Shacks (available here). 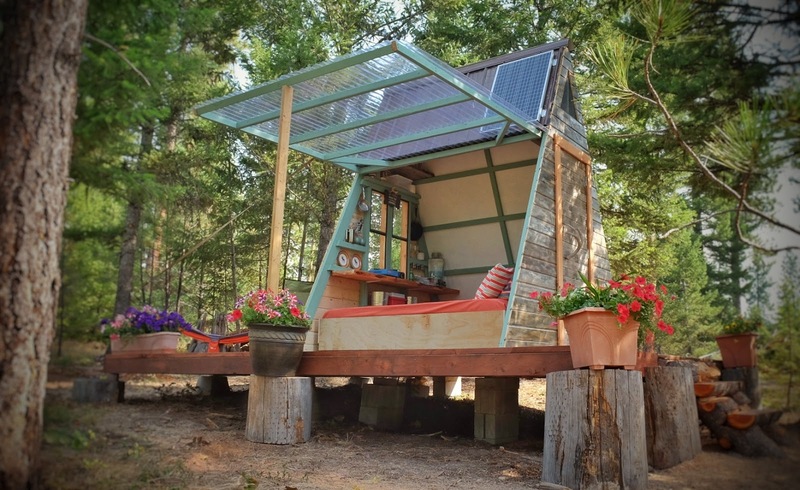 They were able to construct the space, spending only $700, by using recycled materials. 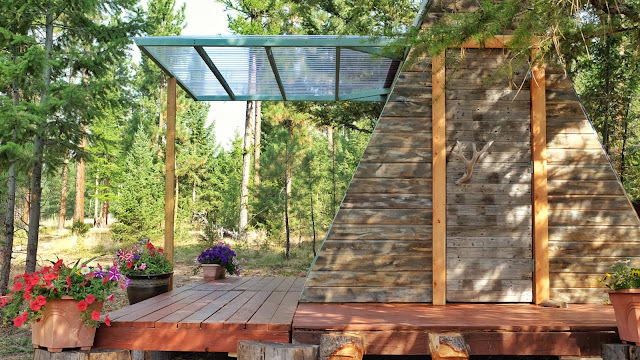 The space has a wall that can be lifted to create an indoor/outdoor space, in addition to a transparent wall on the other side of the cabin. 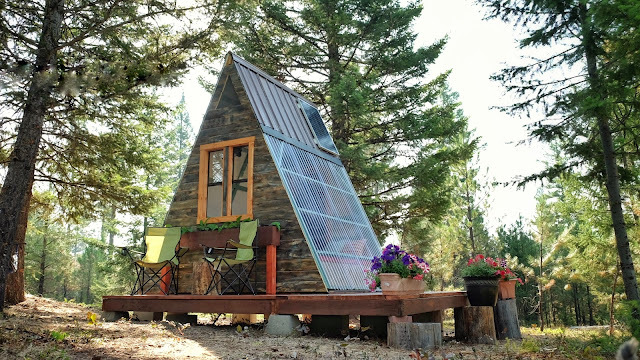 Since it's a guesthouse, the owners opted to skip installation of running water and a toilet but did put in a solar panel so guests could charge their phones. There's also an outhouse located nearby! 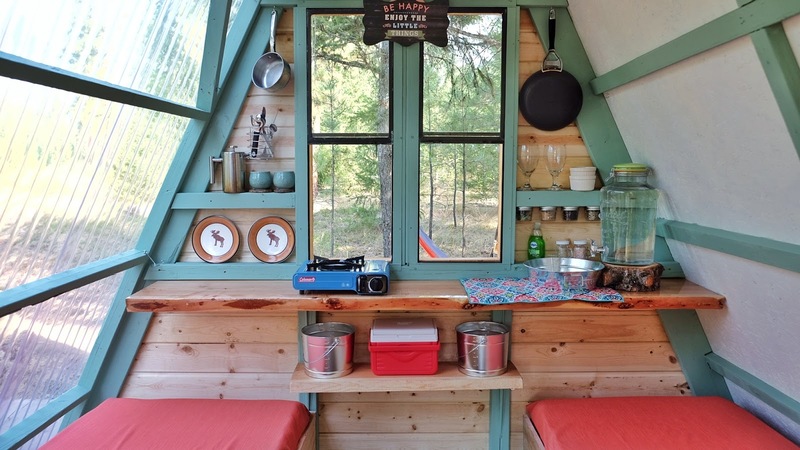 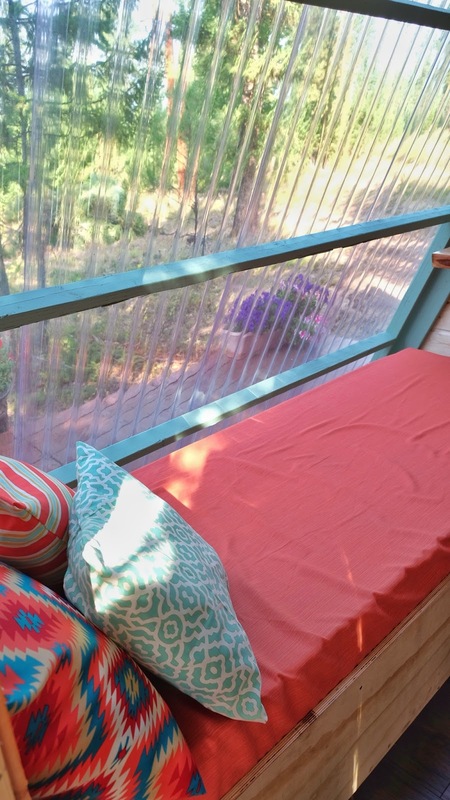 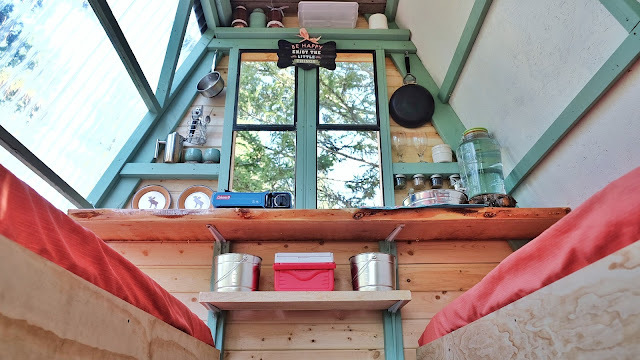 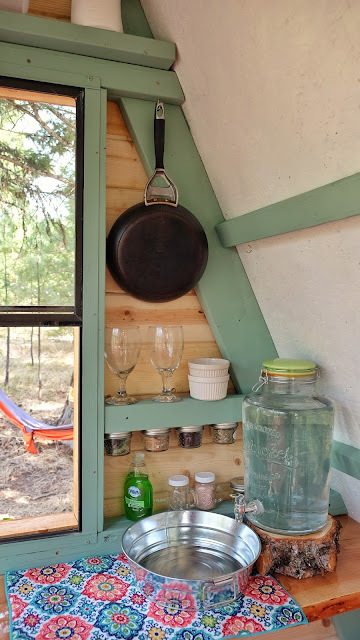 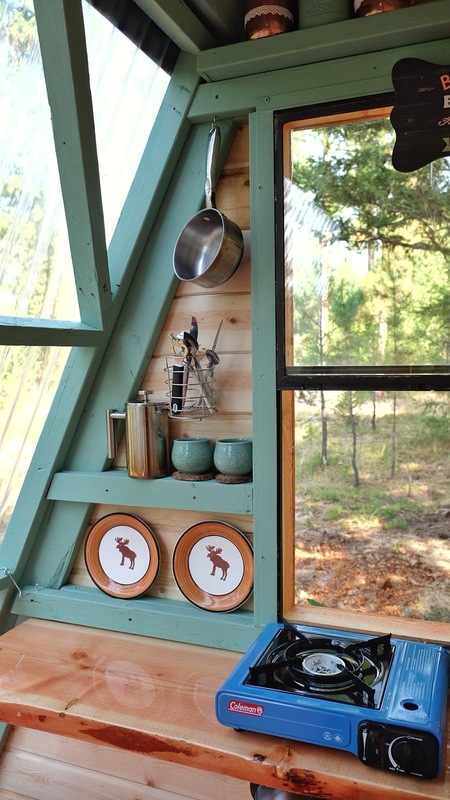 Be sure to check out Alla's blog here for more photos and information on her cozy little A-frame cabin here!